With the exception of the Buxheim composition (track 13), the instrumental pieces on this CD are all arrangements of the songs written in a 15th century style, as we assume instrumentalists were used to. 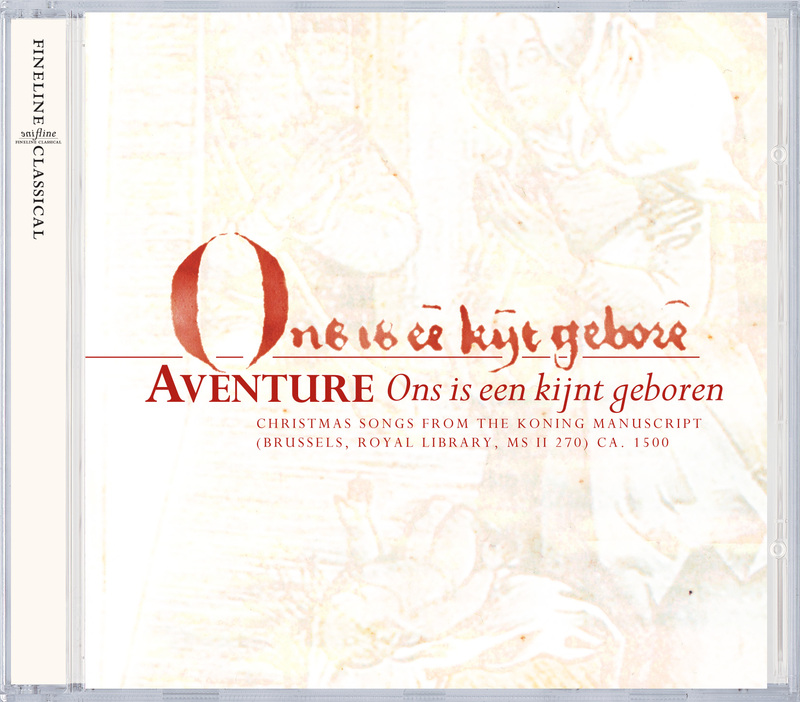 At first sight, the Christmas repertoire in the Koning Manuscript seems typical of the Christmas songs found in many 15th century European Cantionales. It is music that has separated from the liturgy, and has won a place in urban society. And that has happened quite effectively; we still seem to recognize many of these songs, they seem to be deeply rooted in our memory. anything that could become polyphonic was made polyphonic. Two voices became three, songs with one voice or without melody became duets; and cadential formulas were adjusted to fit the rules of higher polyphony.